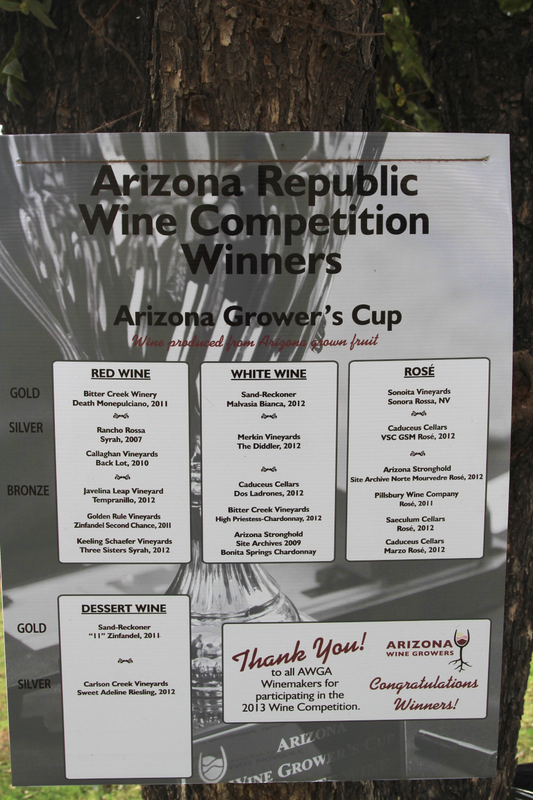 This past Friday night (Nov 15th) The Arizona Wine Grower’s Association (AZWGA) in conjunction with Quiessence restaurant and the Arizona Republic Newspaper held the 5th annual AZWGA awards banquet. 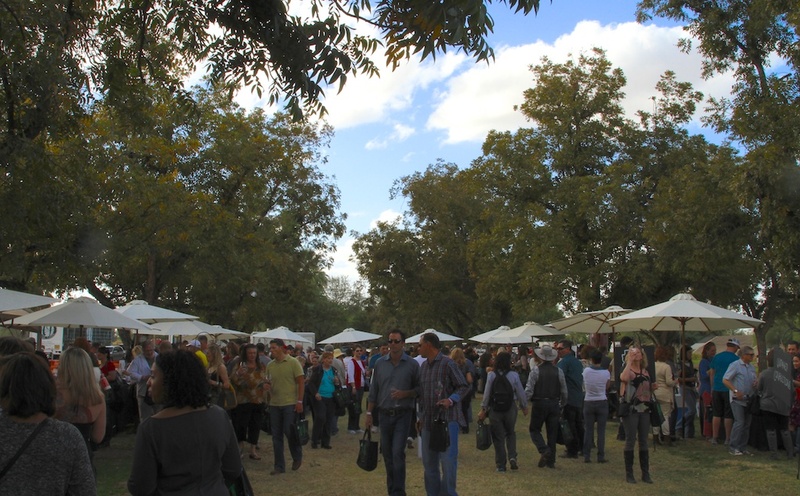 This was the 4th year in a row that I was lucky enough to attend and along with the familiar faces were some new comers (not new to wine, just the event). Golden Rule Vineyard’s Jim and Ruth Graham were new and took home several medals for their 2011 Zinfandel “Second Chance”. I talked with them briefly and as I congratulated them they humbly said “We are just farmers” I recommend finding some of their wine right away before it sells out. I also had a chance to talk with John Scarbrough of Cellar Dwellers Wines. He is starting up a new wine label called Fire Mountain, and will be phasing out the Cellar Dwellers brand. You might want to get a few bottles before they’re all gone. John McLoughlin actually took home the AZWGA “Grower’s Cup” GOLD for his 2011 Monepulician “Death”. I joked with him a little about the name and he said of all the wines to enter and win with it had to be one called Death with scary dark imagery on the label. The top prize should really help with the marketing! John has actually been a prolific wine maker over the last few years producing over 70 wines! Including a Pinotage. (A Pinotage in Arizona?!) Another very interesting thing that John did this last year was to bring in 3 wine maker interns from Europe in order to try to learn somethings outside of what he had learned in Arizona. One from Spain, one from France and one from Greece. Check out my interview with John at the 2013 Festival HERE. For more photos of the Awards Banquet and also The Festival on the Farm, visit my Facebook Page: Facebook.com/weeklywinejournal and if you like what you see would you do me a HUGE favor and hit the “like” button, thanks! !